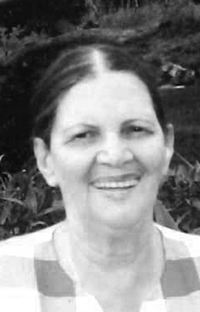 Augustus Funeral Home regrets to announce the passing of Mrs. Joy Irene Abraham. A Home Going service for Mrs. Joy Irene Abraham, wife of the late Kenneth Abraham, daughter of the late John and Hazel Perinchief, loving mother to Janet Gauthier [Troy], in her 83rd year of 2 Alexander Court, Unit 36, Devonshire will be held at New Testament Church of God, Miracle Temple, North Shore, Devonshire Today, March 23, 2019 at 11:00 am. In Lieu of flowers, donations may be made to The S.P.C.A. Relatives and friends may pay their last respects at The Miracle Temple Church, North Shore, Devonshire Today, March 23, 2019 from 10:00 am – 10:55 am. Lovingly remembered by nephews: Wayne, Philip [Debra], Jerome, Vernon [Donella], Quinton [Peaches] Perinchief, Robert Stanley [Silvia], Micheal [Joyce] and David Abraham [Sandra]; nieces: Gaylia Landry, Wanda Bremmer, Donna Kelley [Raymond], Carmen Mitchell [Woodie], Lauren Alleyne [Rudy], Patrice Perinchief, Judy Abraham, Darlene Diede [Amos], Iris Abraham, Cynthia Harding [Martin], Vicki Abraham; special friends: Eugene Walker, Noelette Eve, Bell Francis, Sandra Adams, John Soares, Vivian Seaman, Edith Stuart, Jimmy Bailey, Charles Henry, Alan Dill, Desmond Smith and Brian Herbert, Glorita Hayward, Andrea Young, Milton and Juanita Taylor. Joy Abraham was predeceased by nephew: Takbir Sharieff [Edna], Anthony [Shirley] and Peter Perinchief [Rita]. Colours May Be Worn, Especially Pink.